Dr Forrest of Forrest Estate Wines is a fine host of the Graperide cycle event, and his team really knows how to pull off a well-run and safe bike race. He is also generous: every year that riders re-enter the race, at Registration they are given a complimentary bottle of the previous vintage of Forrest Estate Pinot Noir for simply coming back to have another go. I think I have completed the event for 6 years in a row. Thusly, I have built up a bit of a vertical of their pinots down in the Pool Room. I have also been known to knock the top off a bottle the evening before the ride, and have learnt a wee bit about their products. 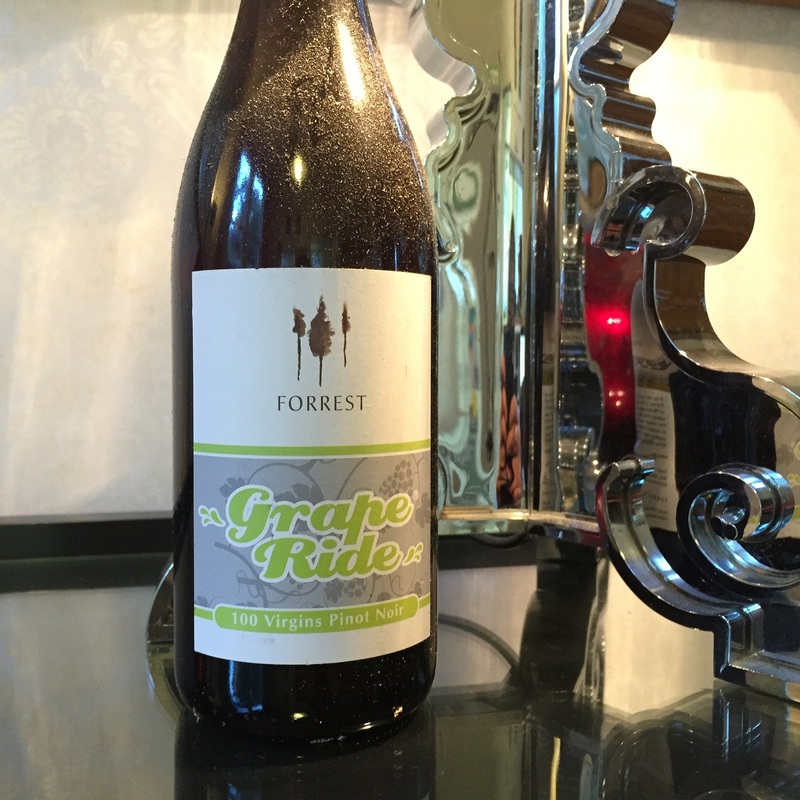 I believe that Forrest Estate do not possess the requisite terroir to make a great Pinot Noir – they are good winemakers and make a fine Riesling – but it is appropriate to consider their pinot as more of a drink-now wine. But I am interested to see if a moderate bit of age improves the wine. A typical Pinot nose – red cherries, underbrush. Ethereal, even. Less nuance in the mouth, unweighted, and light-bodied. An assertive attack with not much extract and the wine thins out as it sits in the glass over time. Adds also a touch of dry stainless steel metallic note. Which sounds bad but is actually OK if I drink it fast enough! Lesson: the little extra age actually helps. This entry was tagged 13%, 2011, 3, Forrest Estate, From the Cellar, G, Graperide, Marlborough, Pinot Noir, Wine of New Zealand. Bookmark the permalink.